Refresh your bathroom and add value to your property. Our design service can help you transform a dull and dated bathroom into a stylish contemporary or traditional-style facility. 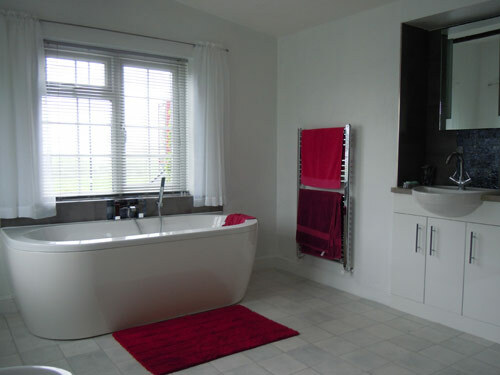 Wet rooms are our speciality, utilising modern tanking techniques with flush-to-the-floor trays, concealed plumbing and waste. We ensure that plumbing, tiling, flooring and electrical work, as well as structural alterations, are carried out by appropriately qualified workmen and completed in total safety.